Analyzer PRO is the new enhanced version of the proven commissioning and diagnostic tool Analyzer IE. The device includes a TAP (Terminal Access Point) called “profiTap” which records network communication such as jitter, load ratio and device update rate. These so-called passive parameters cannot be determined via actively communicating to devices. 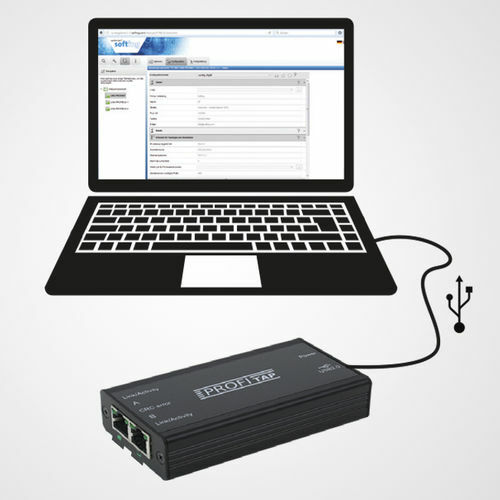 With the help of profiTap, all packets traveling to and from the controller are analyzed and network communication is recorded. 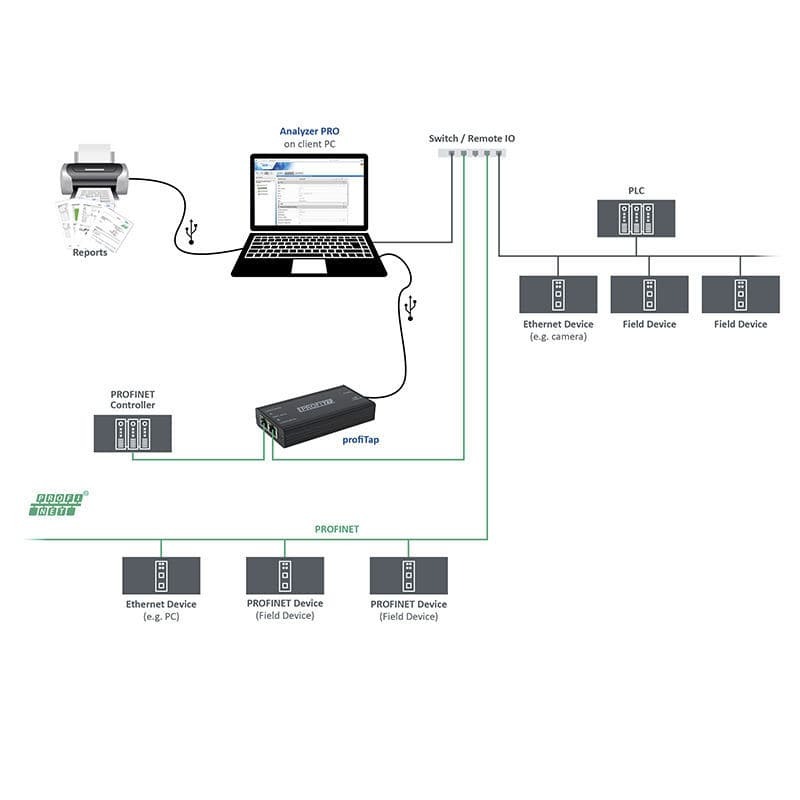 Eventually, the parameters are integrated in the acceptance report and add an additional layer of information which provides more detailed insights into the PROFINET network.